The Sombrero Half Marathon, 5K and 10K is planned for Sunday, January 27, 2019 on the Arroyo Simi bike path. Mostly flat course and post race tacos for all runners. Half Marathon starts at 7am and 5K/10K soon thereafter. Location: Rancho Simi Park ( the duck pond park) - 1765 Royal Ave, Simi Valley. 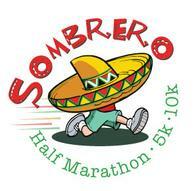 Learn more and register at www.SombreroHalf.com.